I just downloaded and read Jeff Jarvis‘s Kindle single, Gutenberg the Geek (free to Prime subscribers, 99 cents otherwise). 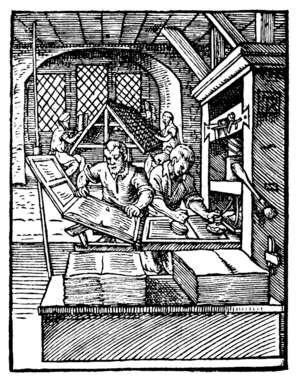 It provides a short history of Gutenberg’s invention of the printing press, drawing parallels between his initial business and how the printing press revolutionized every area of human endeavor and Silicon Valley tech start-ups and how we are currently going through a similar revolution with the Internet. At the end, Jarvis offers a persuasive argument for protecting the openness and public nature of the Internet, since we still cannot predict what revolutionary changes it will bring about in human civilization, just as in the early days of the printing press, no one could foresee that it would power the Reformation, enable the rise of modern science and create entirely new professions. It’s an entertaining and informative read (less than 20 minutes) that will be of interest to anyone who cares about books, technology or entrepreneurship. Next Next post: Change… Making it happen.